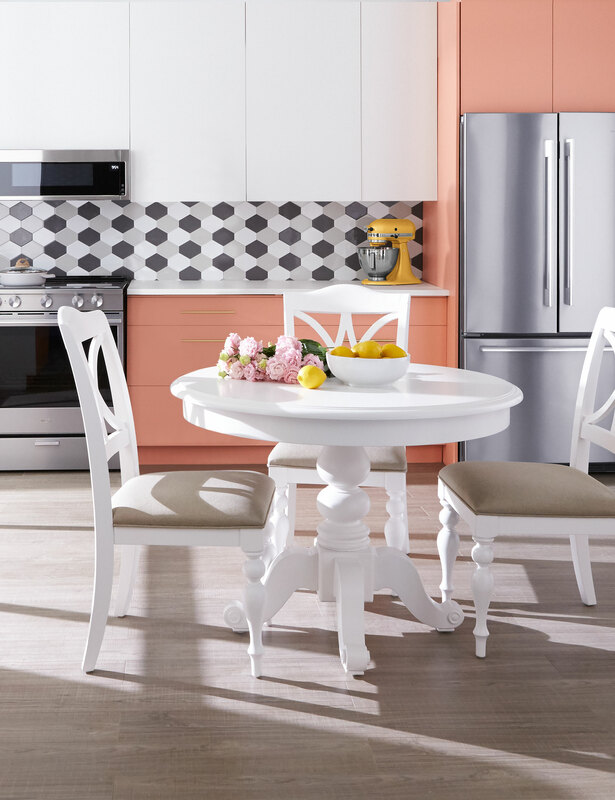 Your eye might go straight to the coral kitchen – yet it’s the appliances that are the real conversation starter. The hub of the home gets an overhaul with techie appliances and a punch of Palm Springs style. Injecting 2019’s hottest hue, (Pantone’s Living Coral) into the design plan provides the perfect backdrop for a high performance kitchen that’s foodie-ready for cooking, eating and entertaining. Sleek design and smart features are key ingredients for modern kitchens. And clearly, if you’re a hobbyist cook or foodie, you especially want a modern kitchen with function and flare. You want appliances that aren’t showy but have all tech for a smooth-running kitchen. A fingerprint-resistant stainless steel finish is a low-maintenance way to keep your kitchen looking modern and clean. Stay hydrated and healthy with the interior water dispenser, the EveryDropTM filtration system ensures fresh water at the ready. Plus having an organized fridge is key to any kitchen worth its weight in fresh baked cookies. Open the French doors you see every ingredient you have in your fridge. A space-saver and ventilation hood in one, this dynamo microwave boasts concealed touch control and has plenty of ample capacity for cooking. It fits perfectly within range hood dimensions. Plus, the charcoal filters ensure that cooking odours disappear in no time.